Another substantial shopping centre investment goes for sale from today in Oranmore town centre in Galway. 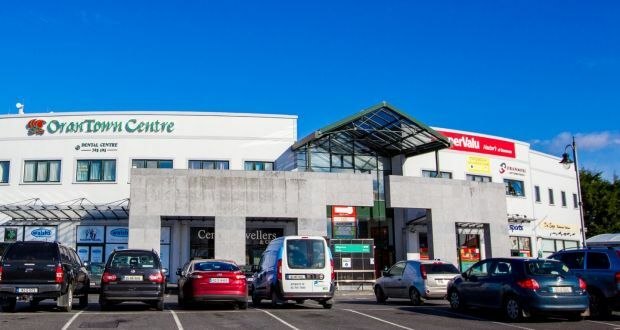 Agents TWM are guiding €5.25m for OranTown Centre which includes 35 retail and office units in a two-storey building extending to 4,180 sq m (45,000 sq.ft) with 230 car parking spaces. The investment will show a net initial yield of 9.83%. The sale comes just as DTZ Sherry FitzGerald studies a second round of bidding for Pairc an Clochair, an Oranmore town-centre zoned site with two food stores rented by Tesco and Aldi, a range of other buildings and 1,000 car parking spaces. DTZ had been quoting in excess of €17m for the portfolio which also included 3.6 hectares zoned for a mixture of shops, offices, a hotel, bar and restaurant, museum, art gallery and craft studios. OranTown Centre was developed in the late 1990s and is anchored by Nestors SuperValu, a franchisee of the Musgrave Group,which owns part of the building. Other retail, office and service tenants contributing to the €540,000 rent roll include An Post, Apcoa Parking and Coillte. One of the keys to the success of the centre has been the ease of access for shoppers with surface parking extending to 189 spaces and 41 more at basement level. Sara Winters of TWM, who is handling the sale, said that while the centre provided a strong income base with an average unexpired lease term of more than 12 years and a vacancy rate of just over 11 per cent it also offered plenty of opportunities to enhance the facility and to bring about rental growth to increase investment returns. Oranmore, a popular and busy suburb of Galway city, is located about 11 km east of the city along the old Galway-Dublin road. The town has experienced significant expansion in recent years with the development of a number of housing and commercial developments.